Did you forget your Mac password? Don’t panic and you don’t need to reinstall OS X. You can reset Mac password without entering your exiting password, just get into Mac OS X recovery mode and use the Terminal Utility to reset password. 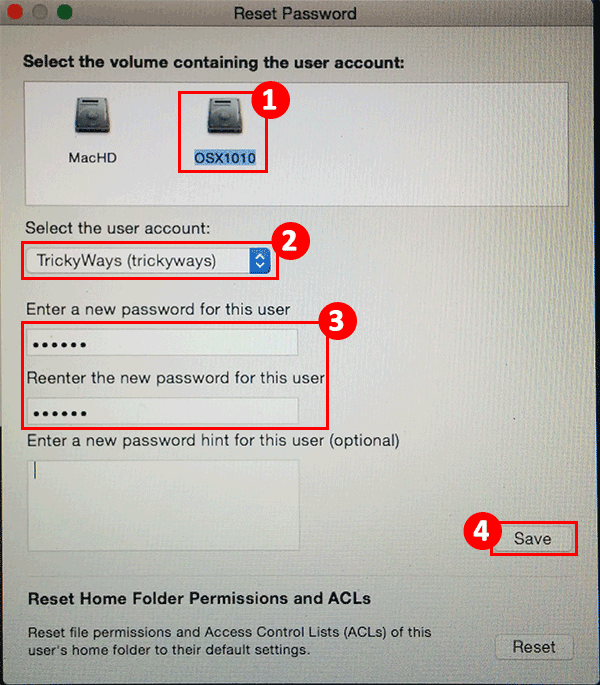 I have tested this method on OS X Yosemite and not sure if this will work on other OS X versions, but you can check our previous guide to reset Mac password without disc if this one does not work for you. In this trick we are using Mac OS X built-in Terminal utility in recovery mode to reset password of any OS X account. Let’s see how to reset if you forgot Mac password. Shutdown your iMac or Macbook, Mac mini and turn it On again and press the Command + R keys simultaneously from keyboard. Release the keys when you see Apple logo and progress bar on the screen. Now, be patient and let the Mac get into Recovery Mode. Once you see the OS X Utilities window, it mean you are in recovery mode. Here, click the Utilities menu on the top and select Terminal option. In the Terminal’s command line type the command resetpassword and hit Enter key to execute the command. A reset password window will be opened. At the bottom of the reset password window there is a Reset button that you can use to reset file permissions to default settings of selected user’s home folder. Voila! you have successfully reset password of your Mac. Note: Keychain password wasn’t changed, whenever an app needs to access the default Keychain, then user may be asked to enter Keychain password if its different from the user’s login password. Reboot your Mac and login using your new password.